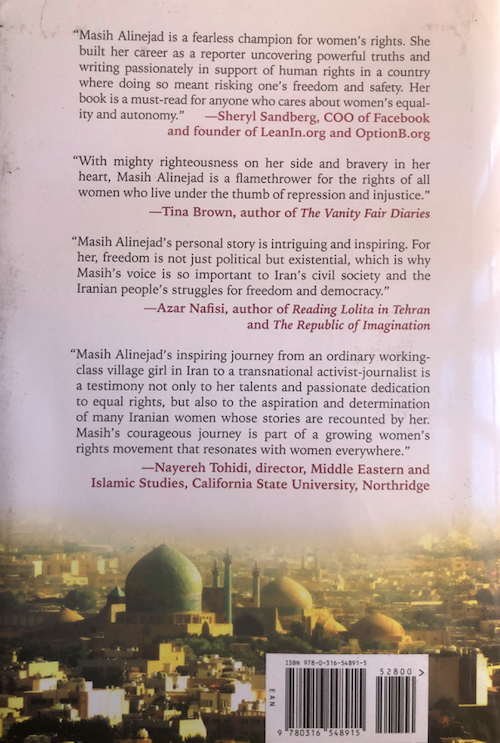 On October 8, a group of friends in Los Angeles (led by Dr. Behzad Tabatabaie, Betty Kermanian, Nooshin Meshkaty and Hormoz and Susan Azizzadeh) hosted an invitation-only book signing and speaking engagement for Masih Alinejad, the Iranian author and influential women’s rights activist. 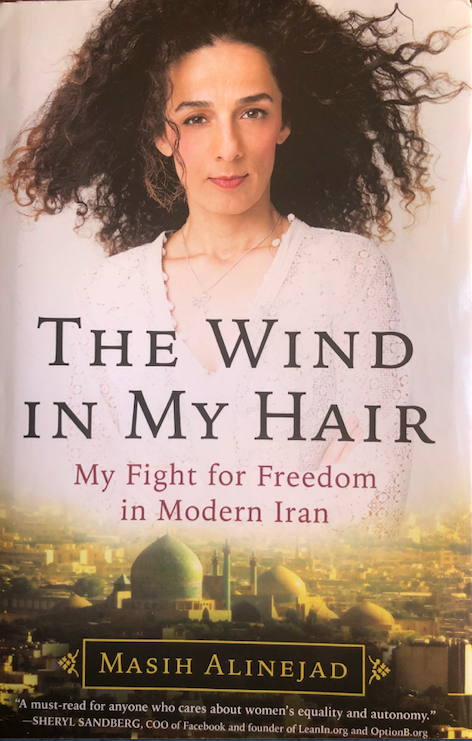 About 140 celebrities and dignitaries packed the Beverly Hills City Hall Municipal Gallery Room to hear Alinejad speak about her new memoir, “The Wind In My Hair.” The book chronicles her journey from a tiny village in Northern Iran to becoming a journalist and creating an online movement that has sparked a nationwide campaign against the compulsory hijab. 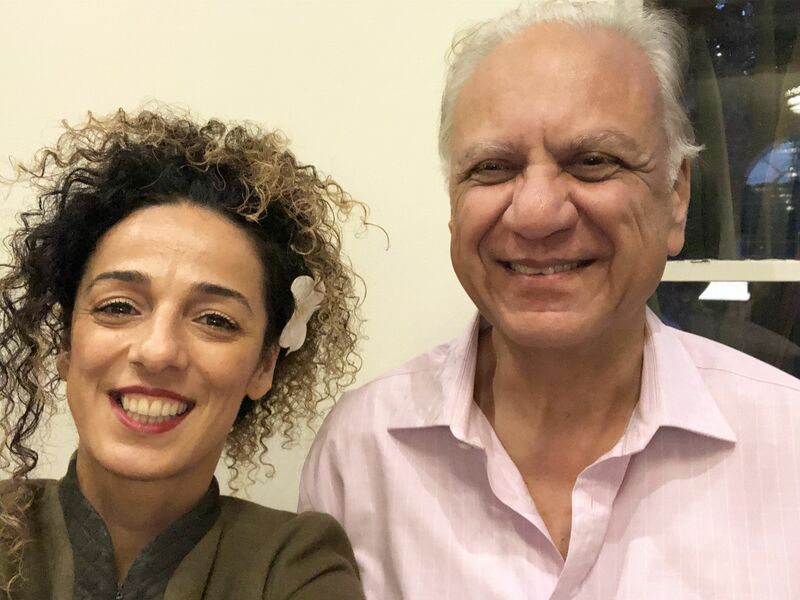 Masih Alinejad is an award-winning journalist, broadcaster, and blogger and founder of the “My Stealthy Freedom” and “White Wednesdays” movements. 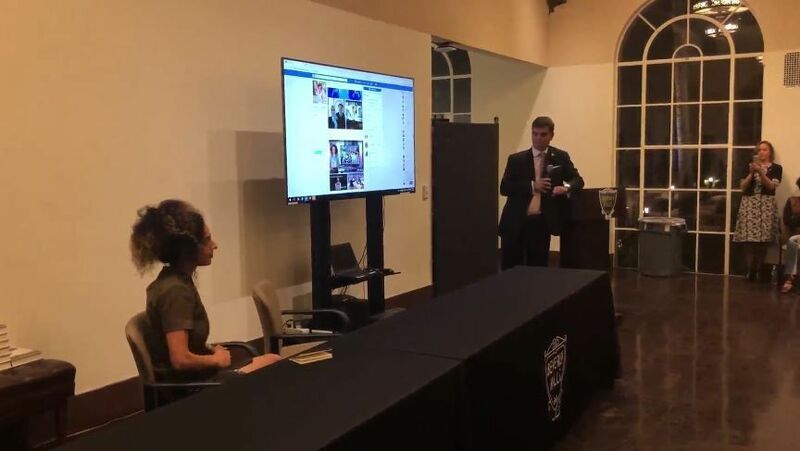 Born in 1976 in Ghomikola, Iran, Alinejad is a graduate of Oxford Brookes University, and currently reports and presents a weekly TV segment on VOA called Tablet, where she mixes hard news and satire. 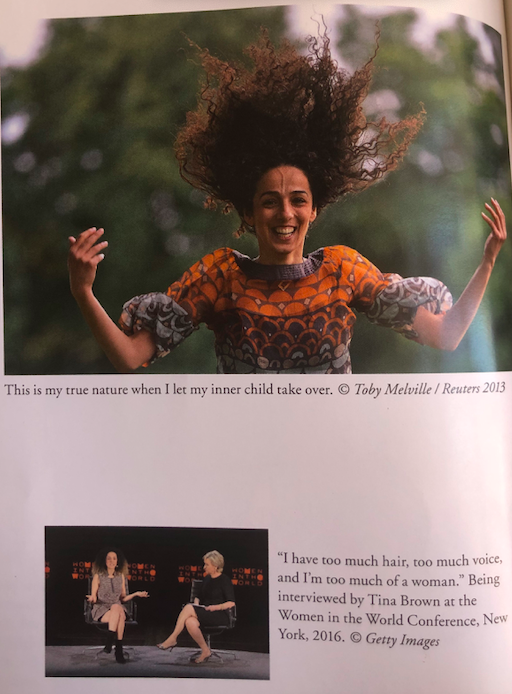 In 2014, Alinejad launched “My Stealthy Freedom,” a Facebook page that invites Iranian women to post pictures of them without a hijab. The page currently has over a million followers and some of her videos receive over 9 million views. 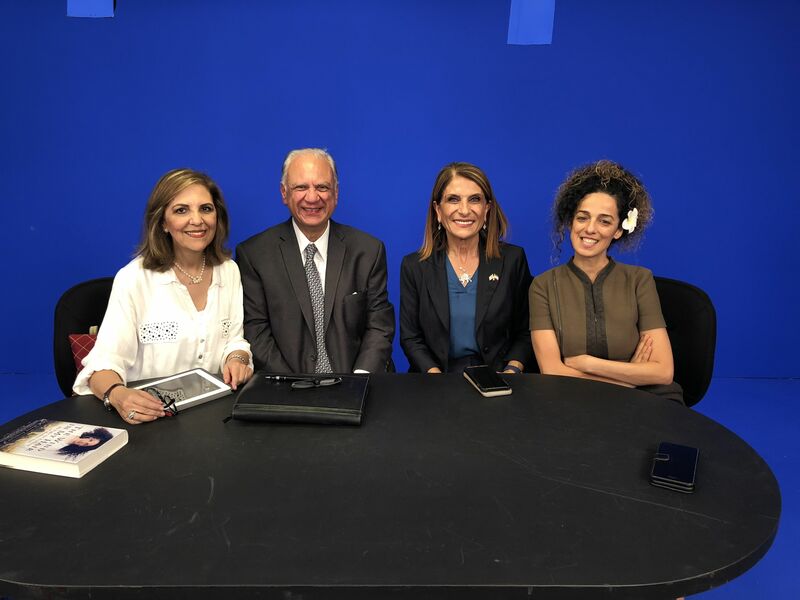 Last month, following her successful book-signing event, Alinejad appeared along with guest Nooshin Meshkaty on “Our View,” a TV program on Andisheh TV hosted by Suzi Khatami. 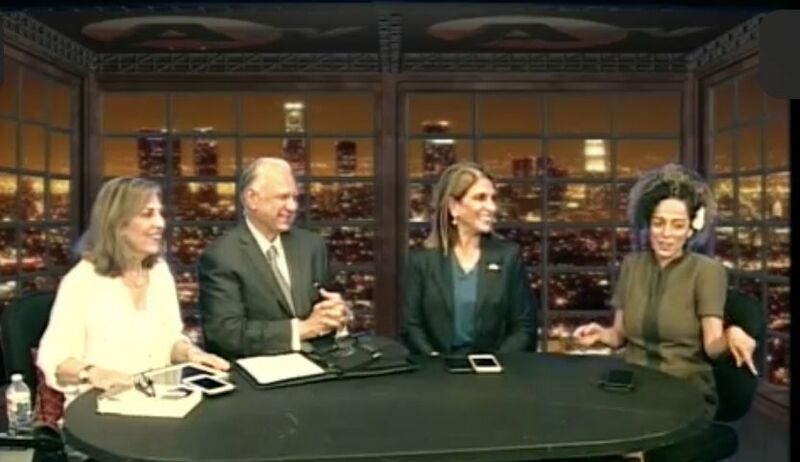 Kayhan Life was asked to co-host the program and had an opportunity to speak to Alinejad. 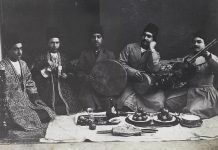 Q: Since you have spent a fair amount of time in the West, how do you think Iranian society has changed outside of Iran? 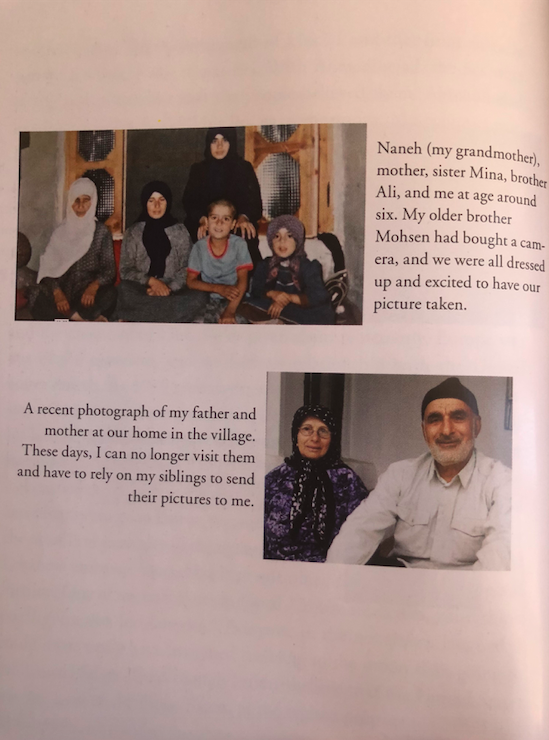 A: When I left Iran in 2009, I would become very homesick at the beginning and used social media extensively to connect with Iranians in Iran. 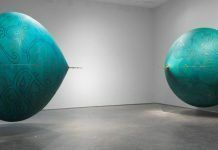 But then I started getting messages from young Iranians who were born and raised in the West and wanted to know if they could help translate my work into English. Their requests touched my heart. 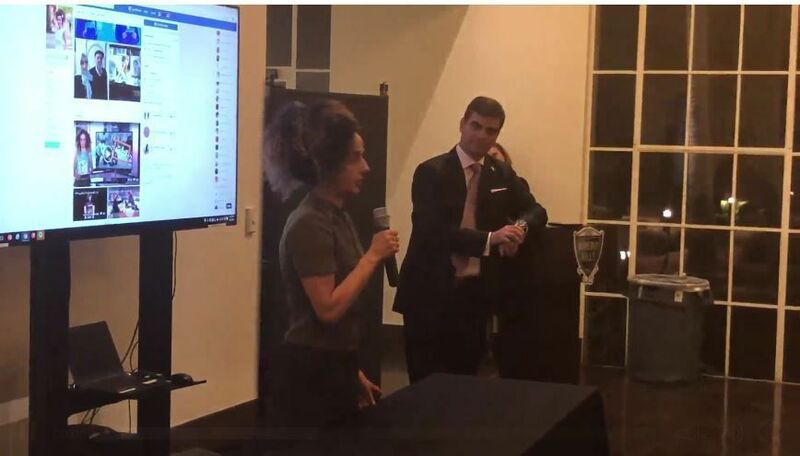 I realized that there is a large segment of young Iranians in the West that wants to be our voice as well. 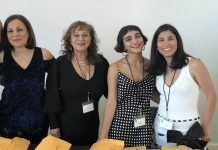 Even though some of them do not read or write Persian, they care enough to support our cause and want to be able to learn about the truth, outside of regular news channels. Q: You have lived in the U.K. as well as the U.S.A. Do you think there is a difference between British-Iranians and American-Iranians? A: I see all Iranians that have emigrated as ambassadors of our home country. They carry with themselves our culture, our history and the trials and tribulations they have endured. I don’t really see that big of a difference between Iranian-Americans and British-Iranians. However, I do believe society can influence its citizens. For example, British-Iranians are more reserved and carry a smile all the time. American-Iranians are more direct and rarely hide their emotions. 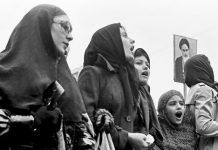 Q: There has been some criticism of you by Iranians both inside and outside of Iran that your work puts women in Iran in danger. How do you respond to that? 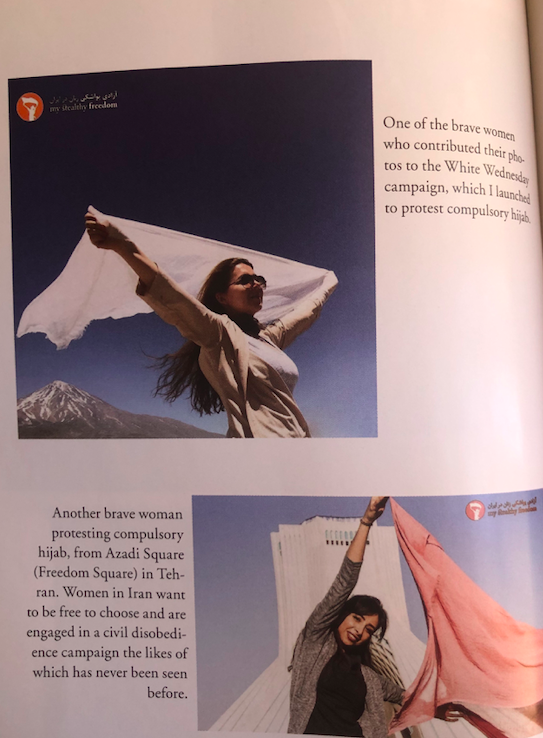 A: I hear this a lot and my response is that I am not the one who has created a difficult and dangerous environment for Iranian women; it is the Islamic Republic of Iran who is the culprit. When I was imprisoned at the age of 19, my own parents who are uneducated were constantly told that my friends misled me and that’s the reason I was arrested. It never occurred to them that my activism was of my own accord. Iranian women are both courageous and smart. The actions they take are entirely their choice. I simply provide a platform for them. The day they stop sending me videos is the day I will remain silent. Q: What are your hopes for Iran beyond the compulsory hijab? A: To me the hijab is a non-issue. I’m not fighting for a small piece of cloth. I’m fighting for my dignity. I’m fighting for my identity. 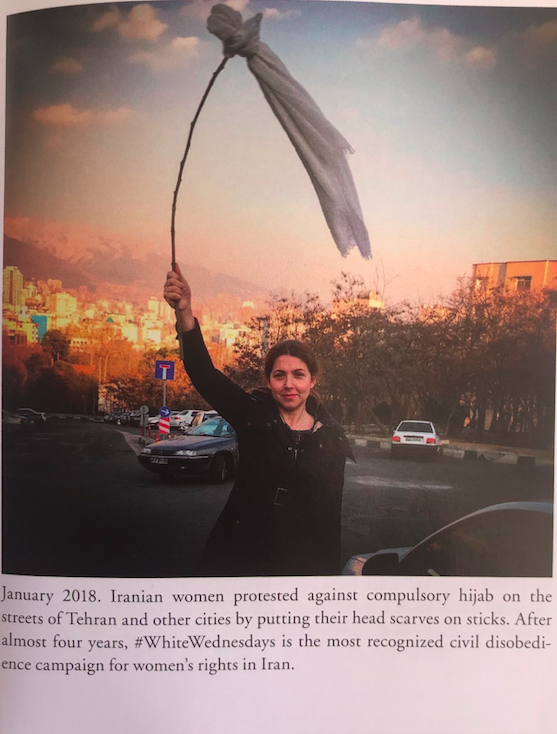 The Islamic Republic of Iran has systematically brainwashed everyone in saying there are bigger problems than the hijab and this issue is not that important. I do this routinely to any man that brings up this subject. I tell them, go put a chador on and then and only then can we have a conversation about it. Q: On a final and lighter note, what is the significance of the white flower you are always seen wearing in your hair? A: A lot of people think that the white flower represents freedom or has a connection with “White Wednesdays.” I’m embarrassed to say it has to do with my idiosyncrasies. I find wearing jewelry confining, and I’m always worried about losing expensive rings or necklaces or earrings. When my husband proposed to me, we talked about getting an engagement and wedding rings. I caused so much stress that on the day we were to get married he lost the ring. We were in Hawaii at the time and I found a white flower on the ground and I told my husband that this was perfect. It was inexpensive, comforting to me, and will forever symbolize the love between us.